The Lou, the Commode, the Porcelain god… whatever you prefer to call a toilet, this modern plumbing fixture is something many take for granted these days. True, most of us have grown up with a bathroom we didn’t have to walk outside to use. And it works so well most of the time that we never give it a second thought…until we walk away and hear some funny sounds. The majority of toilet sounds reflect easy solutions. Here are what some of these sounds may mean. The tank could have lime scale build-up causing valves and rubber seals to malfunction. This is caused from a blockage somewhere in the plumbing system. It could be the sewer lines, your ventilation stack or even in the toilet. The sound is formed from air coming back up into the toilet bowl. 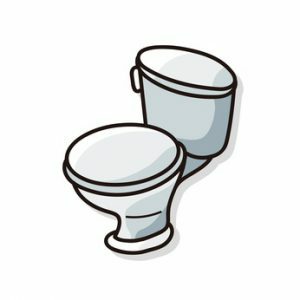 This sound is unmistakable and common in older toilets that still use the metal ballcock-style fill valve. This metal assembly uses metal washers as well and when one of them becomes loose, you get the foghorn. The toilet may vibrate in addition to making the loud foghorn sound. The most common cause for pipes to bang around is an effect called water hammer. This is from a buildup of pressure. With regards to the toilet, the culprit is likely a fill valve going bad or could even be a stop valve issue. Sometimes it is a problem with the pipes behind the wall or could be the sign of a larger issue that your local plumber can address.